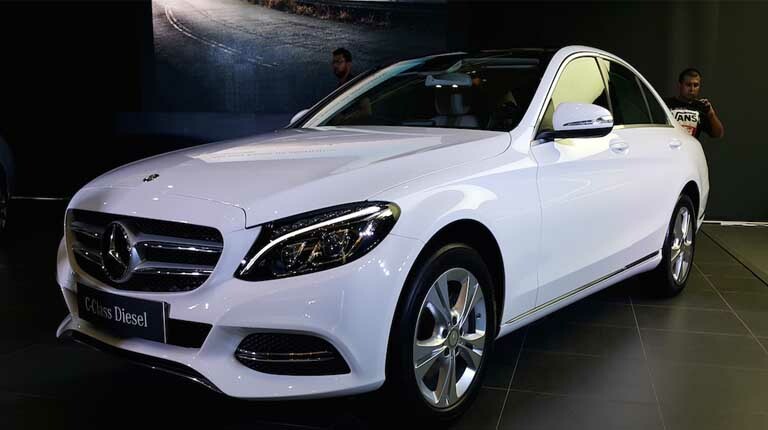 The Mercedes-Benz C-Class C220 CDI Diesel has taken design cues from its S-Class model. 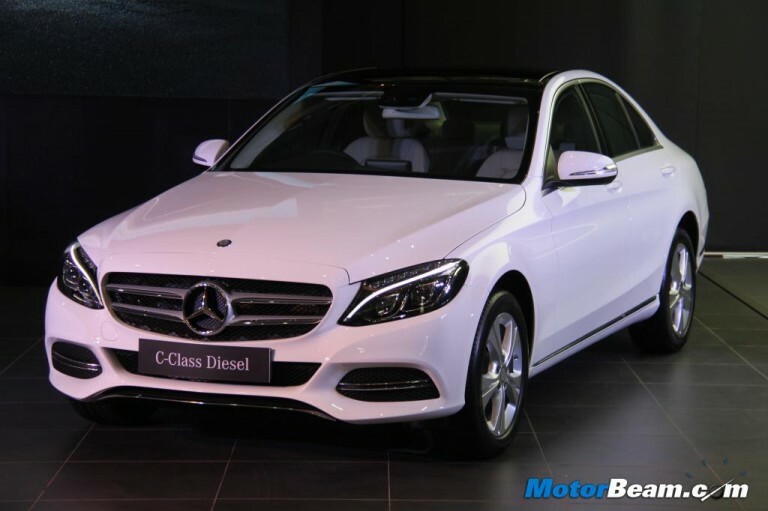 German luxury car maker Mercedes-Benz has launched the diesel variant of its C-Class sedan. 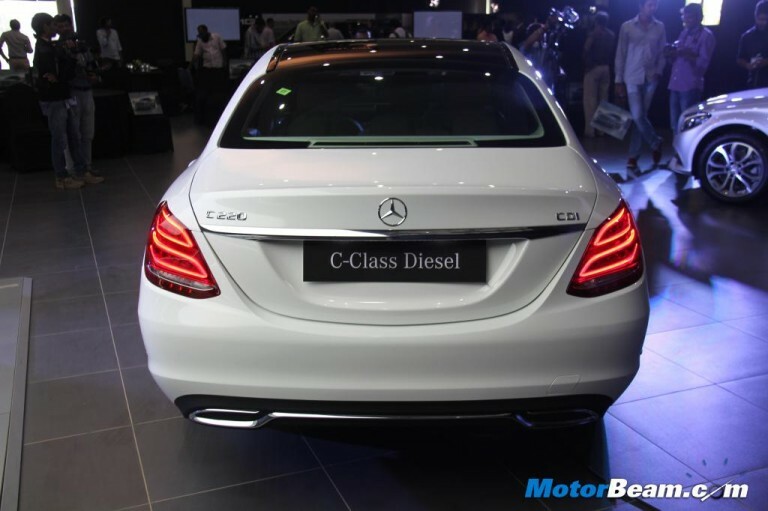 The diesel C-Class joins the petrol model which was launched less than three months back. C-Class diesel is available in two trims – ‘C 220 CDI Style’ variant priced at Rs 39.9 lakh and the ‘C 220 CDI Avantgarde’ priced at Rs 42.9 lakh. Powering the Mercedes C-Class diesel is a 2.1-litre, 4-pot mill which outputs 170 PS of power and 400 Nm of torque. Power is transmitted to the rear wheels via a 7-speed 7G-Tronic Plus automatic transmission. Mercedes claims the new C220 CDI will do 0-100km/h in 7.4 seconds. The top speed is 223 km/h. The exterior design is very much like the C-Class petrol. There is a CDI badge on the right side of the boot. The new design highlights include a big upright two-strip grille with a prominent three-star logo, aggressive front bumper, 17-inch 5-twin spoke alloy wheels, all-LED tail-lamps cluster, bustle-back boot lid and a re-sculpted rear bumper design. On the inside, there is a luxurious cabin that sports an unmatched fit and finish of materials. 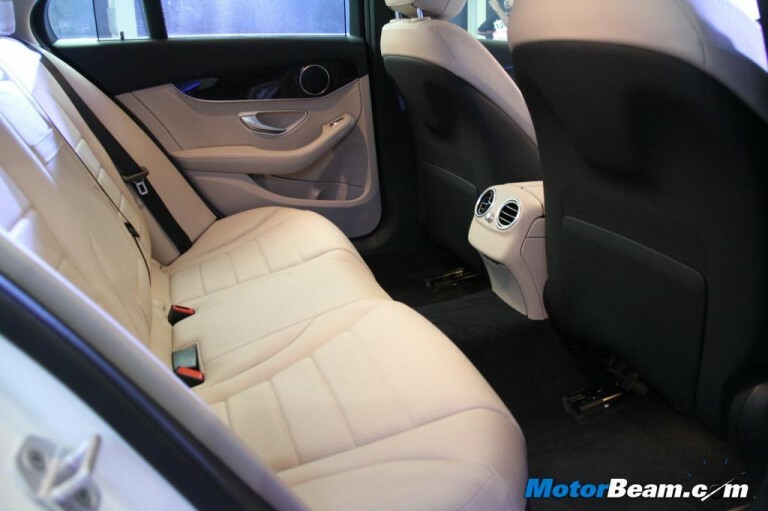 The front seats can be adjusted electrically and come with memory functions. The dashboard is rich and attention to detail is in excess. The use of multiple colours on the dashboard has been done very tastefully and the layout is neat and controls are easy to access. The cabin is feature-rich with three-spoke multi-function steering wheel, A/C vents, a two-pod instrument cluster, a free-standing multimedia-screen with in-built navigation assist, a touch-multimedia controller. 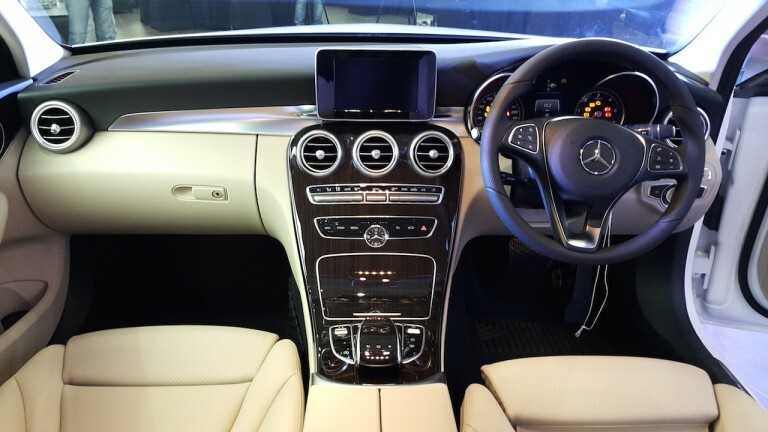 Other features include rear camera with guidelines, three zone climate controls, panoramic sunroof, 3 colour ambient lighting and a 13-speaker Burmester audio system and a two pin plug for powering your laptop.